Be the first to hear about their new releases and deals. Download the Booksprout app and search for Jane Henry today! 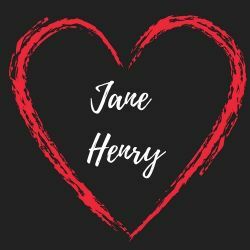 USA Today bestselling author Jane Henry pens stern but loving alpha heroes, feisty heroines, and emotion-driven happily-ever-afters. She writes what she loves to read: kink with a tender touch. Jane is a hopeless romantic who lives on the East Coast.